Thanks to Shane Fradgley for this engaging little task. What do these bar graphs tell us? Bad Charts and Graphs Starters. With the election looming there seems to be a wealth of misrepresented data to do with majorities etc. These are some excellent examples of graphs which have mistakes, maybe in what they are trying to tell us, or in the way that the data is represented. These could be used as a starter or as a lesson to look at understanding of data. Teach Data Handling Across the Curriculum. I love this, so much data can be taken from this table. Which hero was first created? 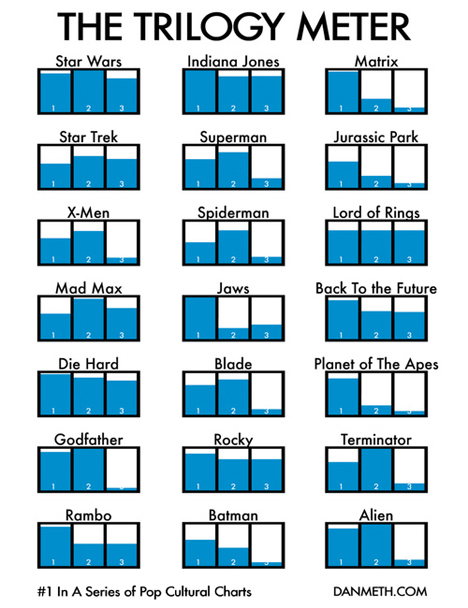 How many human, mutant, alien, other heroes are there in the table? How many heroes have no powers? How many heroes have physical powers? How many heroes have mental powers? 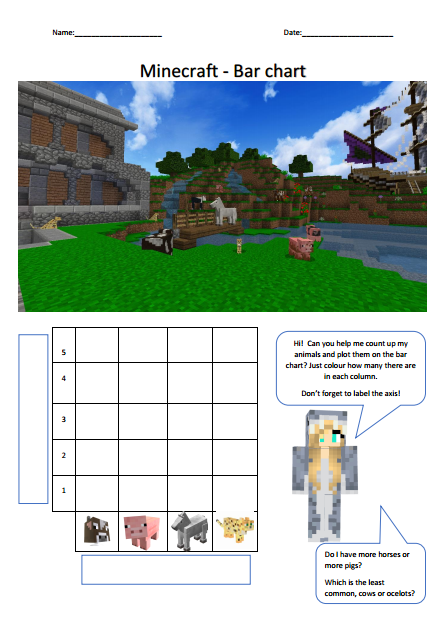 Data Collection and Word Problems: Themed Sheets. We have been doing word problems in our class the last couple of weeks, so we are progressing on to looking at graphs and data collection Later in the week we are collecting our own data and making word problems based on that data. Here are some themed data collection sheets that I have created. They are in pdf and Publisher formats, so can be edited in Publisher to include questions if you wanted to. Enjoy. Using the Data Collection Sheets. I wanted to share my own class and their work with the themed data collection sheets. They chose a sheet then collected data from class mates and adults before creating word problems linked with their data. They loved it and several asked for extra sheets to take home and collect data from their families. This booklet shows various graphs and asks which graph best represents the statement made. A simple but very clear introduction to probability. A really good video from the BBC website, really clear and easy to stop at various places and question the children about what is happening. An Introduction to Bar Graphs. A simple introduction to bar graphs, what is nice about it is that a shows the different ways that you can record your data before putting it in a graph. You may want to stop the video at 27 seconds to get the children's ideas of how they could organise the data. Stop also at 2:18 and ask children which was the most / least popular. COCA - COLA "STATISTICS" from MONCHO - COLORIST on Vimeo. From here you can spin a spinner record the results and even change the variables. A useful 5 minute video showing traffic in quite a busy area. Great for those rainy days when you want to record a traffic survey, or you live in a quieter area. A tally chart can be created and use to record the traffic, including cycles. The data can then be used to make pictograms, bar charts or any type of graph / chart that you want. A very interesting video with the king of numbers Johnny Ball. In this video he uses a technique to help estimate large numbers of objects instead of counting them all. This video has several talking points and can be stopped at various times. Stop at 0:20 talk about estimating and what it means, ask children for their estimates on the number of ping pong balls, and ask for their thoughts on how he is going to do it. Stop at 0:52 What do you think he is going to do now he has mixed the balls back up again? you may want to stop at 1:50 and talk about the division and how it is worked out, then the times by 100. Stop at 2:38, using the same method, how do you think Johnny will estimate how many black cabs are in London..again at this time you can ask for estimations on the final answer.